The Twisted Root by Anne Perry. As private investigator William Monk listens to young Lucius Stourbridge plead for help in tracking down his runaway fiancée, he feels a sense of heavy foreboding. Miriam Gardiner disappeared suddenly from a croquet party at the luxurious Bayswater mansion of her in-laws-to-be, and has not been seen since. But on Hampstead Heath, Monk finds the coach in which Miriam had fled and, nearby, the murdered body of the coachman. There is no trace of Miriam. What strange compulsion could have driven the beautiful widow to abandon the prospect of a loving marriage and financial abundance? Monk's attempt to answer that question proves a challenge, as Miriam Gardiner's fateful flight ends in a packed London courtroom where brilliant barrister Oliver Rathbone wages an uphill battle to absolve her from a charge of murder. And in a race with the hangman, Monk and clever nurse Hester Latterly--themselves now newlyweds--desperately pursue the elusive truth . . . and an unknown killer whose malign brilliance they have scarcely begun to fathom. 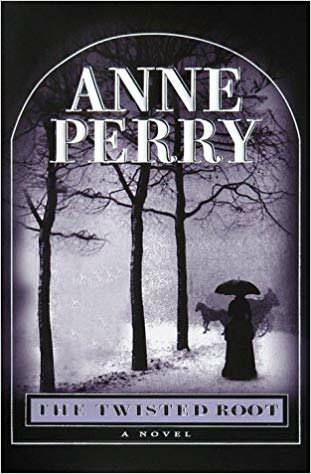 I thought by now (9 Monk books) that I would be getting tired of the writing.. most prolific mystery/ detective writers get an outline that works and use it every book... not Anne Perry! Each book is it's own and her story telling is superb ! They all build in such a way that each time you pick up the book you read a little more then the last time! Really liked this book. Thank you again Kiyo for send them to me!!! Love that cover! I've read a few of her Christmas books, those are all different too, not at all formulaic.